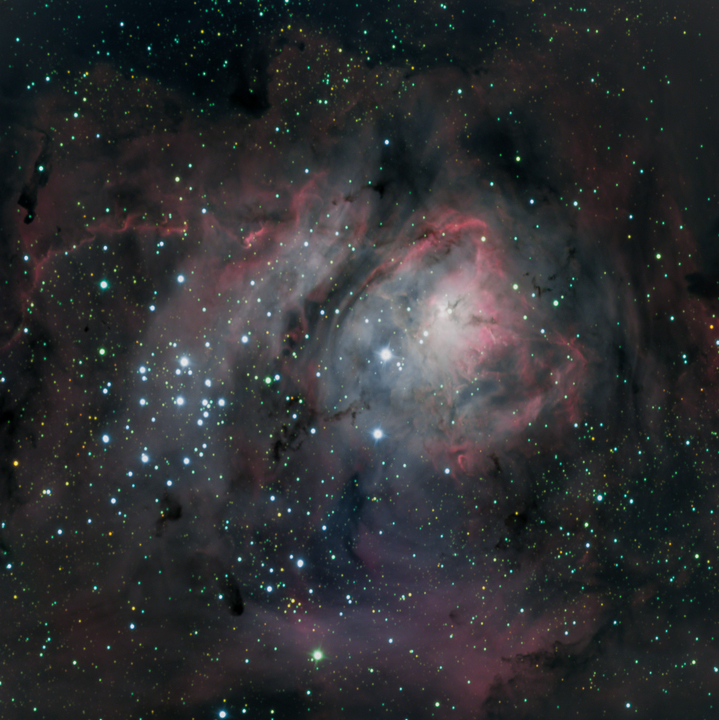 M8, or the Lagoon Nebula, is a giant gas cloud. Composed of mostly hydrogen and helium, making it a star-forming region. It is approximately 4100 light years distant from Earth.